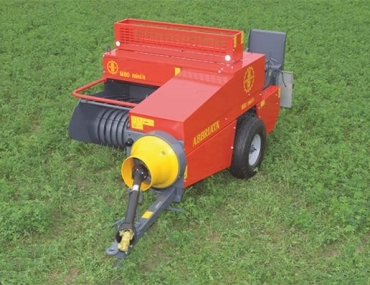 The ABBRIATA® M60 MINI/S square baler is characterized by a chamber with a size of 34x44 cm and a very light weight of approximately 850 kg. It has a pick-up length of 95 cm and a width spanning the entire machine, 149 cm in the transport set-up. The minimum drive power is 20 – 25 CV. This is a special square baler designed for working in smaller areas with very narrow access routes.